UNP Gampaha District MP Dr Jayalath Jayawardena has been admitted to East Surrey Hospital, the former minister was found unconscious at the Gatwick Air Port on 13 April. "He was admitted to the hospital and the doctors are still monitoring his condition, he seems to be stable for now with the medication the doctors are giving to him," Dinesh Kapukotuwa, the President of UNP-UK branch said. 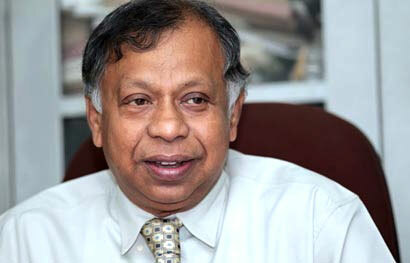 Dr Jayawardena left London for a tour in Europe and found collapsed at the Air Port, Mr Kapukotuwa further added. When I contacted the hospital on Saturday (14) afternoon, a staff member, who requested anonymity, confirmed that the Sri Lankan MP was admitted in one of their male wards and received treatments. The sources said "His condition continues to be closely monitored by the specialist doctors at the hospital." East Surrey Hospital is the major acute hospital for east Surrey and north-east West Sussex, providing a wide-range of services with consistently invested in innovative healthcare solutions.